Why go? Fine dining, tick, smashing spa, tick, and all within an hour of central London make this the perfect spot for some ‘me’ time, chill time or a break with girlfriends. 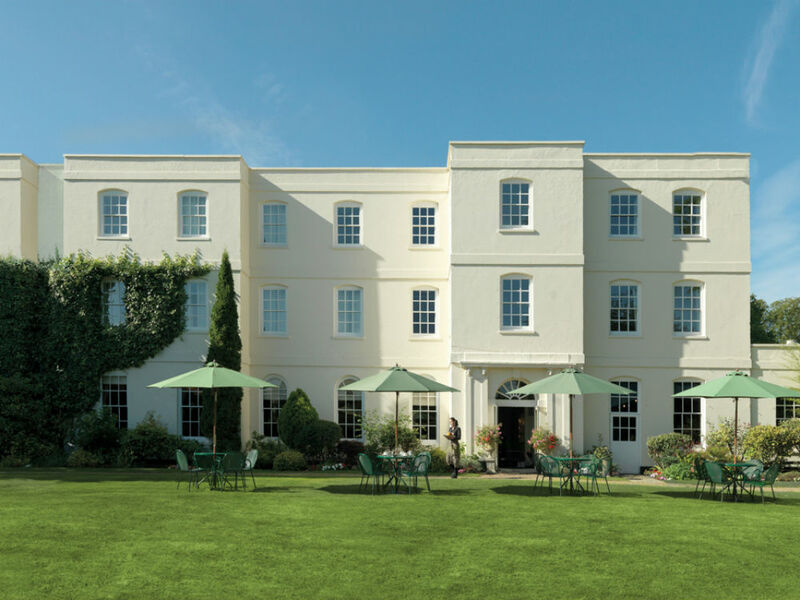 I know what you’re thinking, an oh-so-stylish staycation just a stone’s throw from St Albans? Really…? Well, Sopwell House could surprise you. Conjuring up that unique feeling of really getting away from it all, with 12 acres of beautiful Hertfordshire countryside to explore, a sleek spa and comfy, design-led rooms, Sopwell House is a no brainer. Aaaaand breathe. Best for: Either a relaxing retreat with your other half or a girly weekend with friends. The vibe is more chilled country house than happening hipster spot. Think unpretentious vibes, super friendly staff and a cosy, home-from-home feel. You can see why it’s a popular venue for weddings and it’s the ideal place to celebrate a big birthday. For something really special, hire one of the brand new, 4-star Mews Suites for real bespoke luxury. The look: The historic Georgian 128-room hotel, with two restaurants, conservatory bar and cocktail lounge has been brought bang up-to-date with a contemporary country feel and more renovations to come next year. Rooms are spacious and comfy with all the luxury touches you would expect – hello flat screen TV, four poster bed and Nespresso coffee machine. Settle into the Mews Suites, a new addition to the 30-year-old Sopwell House. Set back from the main hotel through your own fancy secure gates, the Mews cottages are positioned around a Chelsea Flower Show award-winning communal garden and have a hydro pool thrown in for good measure. Look out for contemporary art adorning the walls, monsoon showers and huge beds. Many of the ground floor cottages have their own paved garden with hot tub, FYI, so it’s unlikely that you’ll even need to leave the cottage. 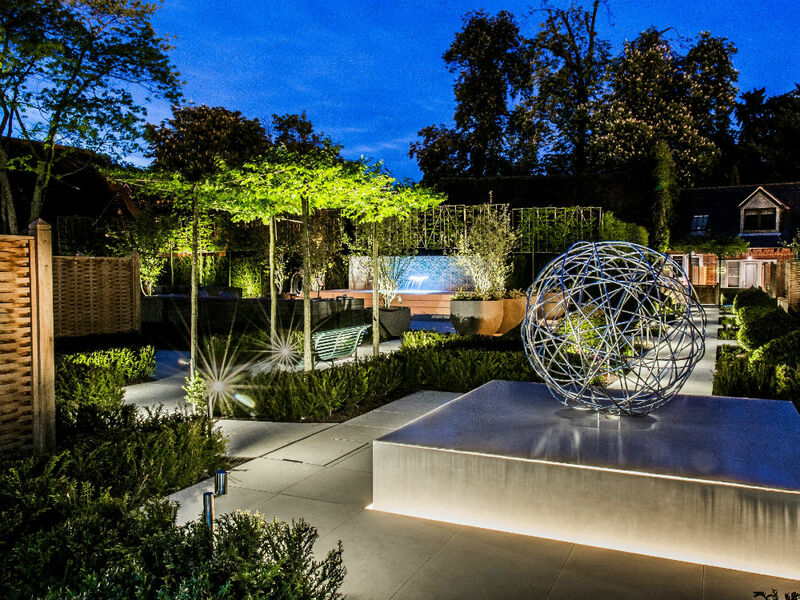 Ideal for a Summer break, the chic garden area offers the perfect sun spot to lounge in. Don’t be surprised if you end up having a lazy Saturday morning, feet up on the comfy outdoor seating with the papers delivered straight to your room. Alternatively, in the winter I can imagine the in-suite fireplaces and big bathrooms really come into their own for cosy vibes..
I’m hungry: You’re in luck, then, as the award-winning chef has you covered from noon until night. 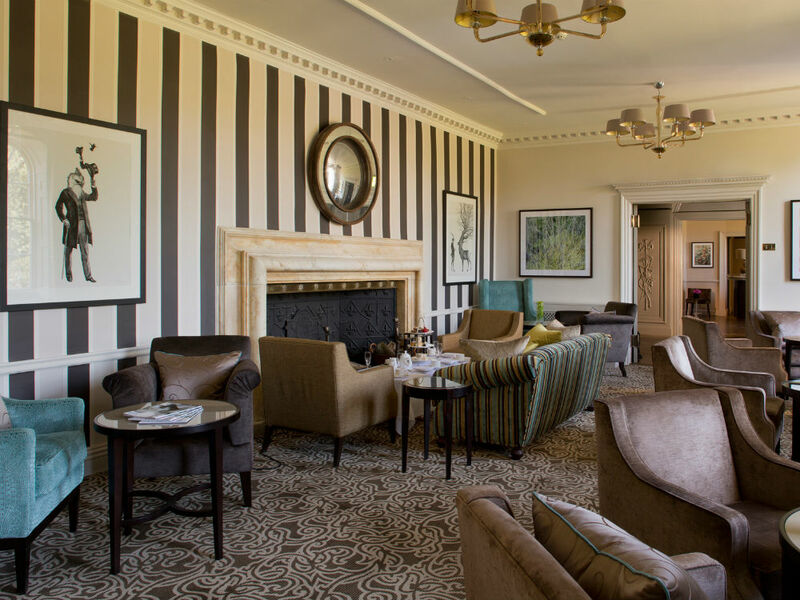 After check-in go large with a good portion of battered pollock and skinny fries, then nail the 4pm sweet treat with an afternoon tea in the light and bright Conservatory Bar (from £23.90 per person). 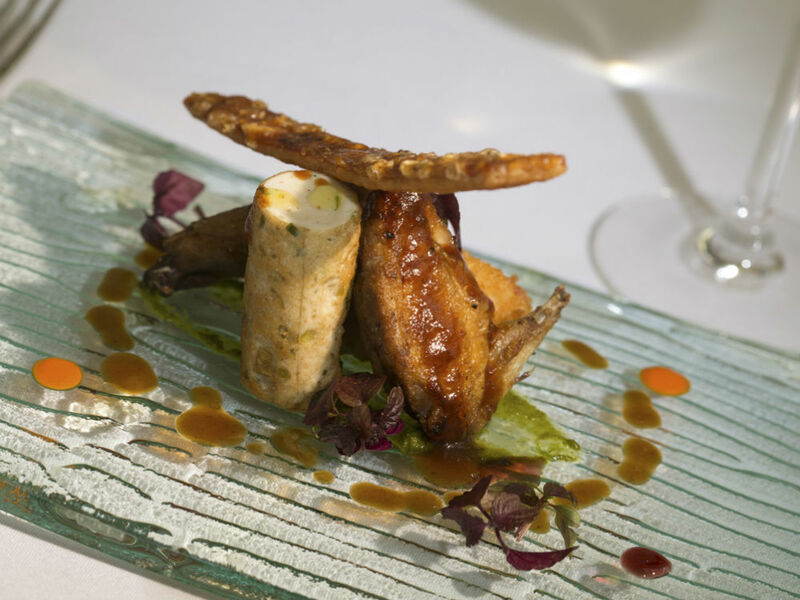 Finish with fine dining in a friendly but grown-up evening atmosphere in The Restaurant. The seasonal British and European options make for a delicious menu with plenty of choice, such as steamed fillet of dover sole with garden peas, clams and nut brown butter. With three courses for £35 per person, plus amuse bouche, you won’t go hungry. Stop off at the Cocktail Lounge on your way back to your suite and embrace the two Italian barmen that definitely know how to mix a cocktail or two. On the flip side, breakfast is a noisy, rushed affair with weak coffee, set in the The Brasserie, so skip it and enjoy the full English in the privacy of your room, or drive 10 mins into St Albans where you will find plenty of independent places serving up a tasty start to the day. We rate the charming Bakehouse for delicious artisan pastries. While you’re there: Unwind in the spa, take a trip upstairs to the treatment rooms where the cloud-print wallpaper and soft drapes really take the relaxation up a notch. 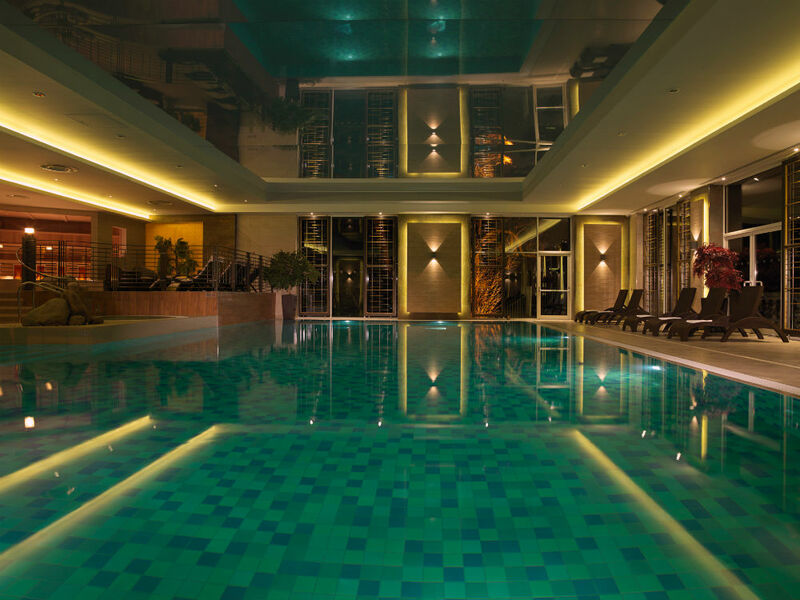 The spa is open to non-residents with full facilities including a gym, glass-fronted sauna and steam, 14.5 metre pool and dreamy ESPA and Clarins indulgent treatments aplenty. Top tip is to book in for a treatment, the hot stone massage (£85 for 50 mins) comes highly recommended, on the Friday night for a quiet retreat, with a leisurely dip in the pool when it’s not so busy (weekends are a little crowded). If you need a shopping fix, take a trip to St Albans, 15 minutes away, where you’ll find a mix of chic boutiques amongst more popular high street stores, a growing restaurant scene and pretty parks aplenty. Don’t leave without checking out The Dressing Room for fashion brands such as Ba&sh, Day Birger et Mikkelsen and Ancient Greek Sandals. Maison Hartley is a hip interiors find – we loved the lighting selection, and do stop off at George Street Canteen for friendly service and grab some locally sourced food outside. Alternatively, go further afield and explore the pretty villages of Hitchin, enjoy lunch at the newly opened Lussmans restaurant or stroll around Wheathampstead a short drive away. For a bit of culture, wander around Hatfield House, enjoy the gardens, parkland walks and a tour of the Old Palace, built in 1845 soaked in history, it’s one not to miss with beautiful tapestries and huge ceilings. Dress code: Don’t forget your cossie, you won’t want to miss out on taking a dip in the hydro pool. Daytime think casual country affair, Breton stripes and khaki, much less try-hard than a London spa break. If even that sounds like too much effort, believe us, you won’t look out of place meandering around in your spa robe. For dinner there are no jeans to be seen, so you get the feeling local diners like to make a effort. Book now: The Mews at Sopwell House, Cottonmill Lane, St Albans, AL1 2HQ. sopwellhouse.co.uk (01727 864477). The Mews cottage starts at £244 per night including breakfast for two.